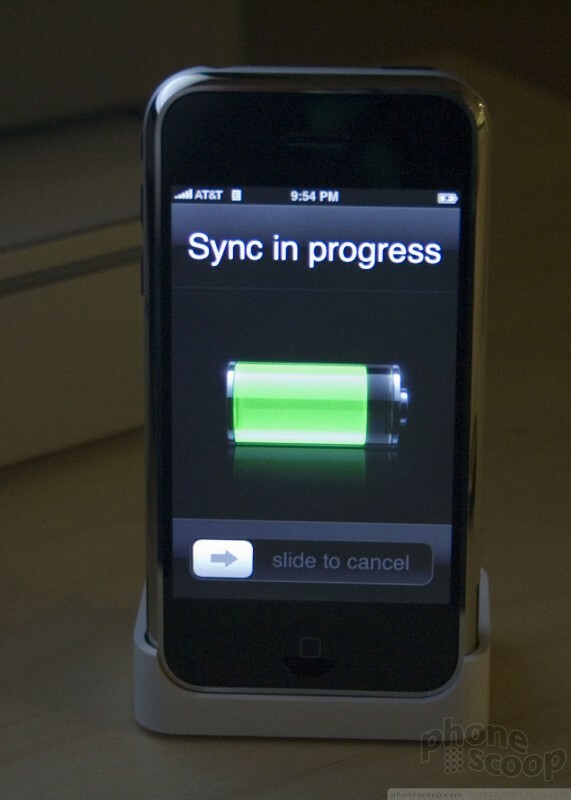 The iPhone is useless without first syncing it. 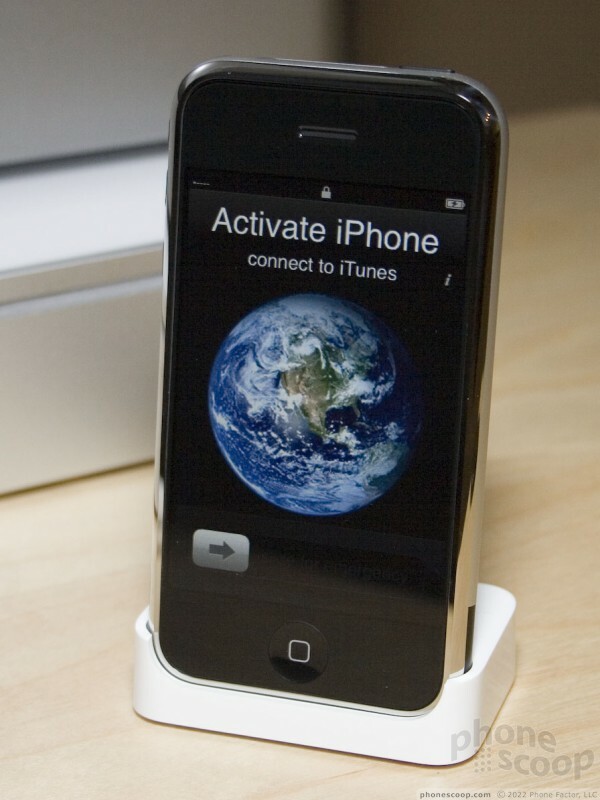 Syncing (and activation) is done using iTunes whether you're on a PC or Mac. 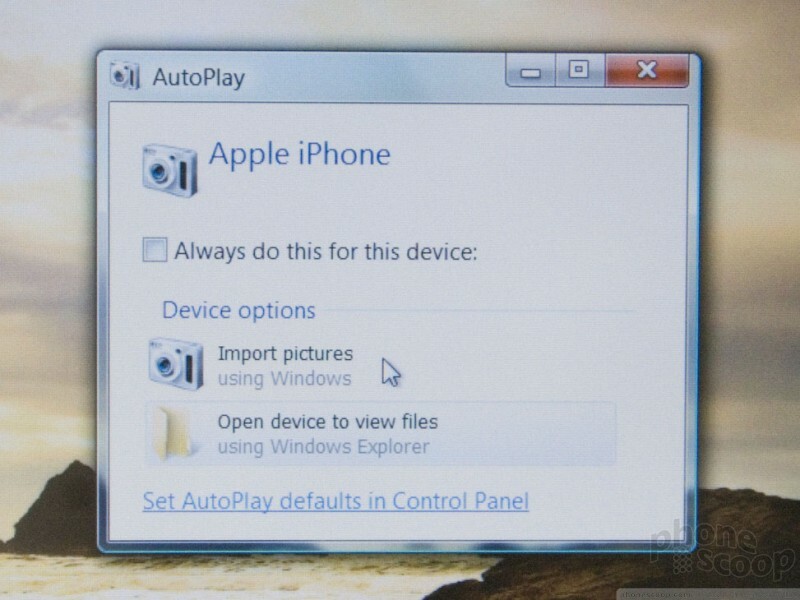 Your music and videos are synced from iTunes no matter which platform you are using. 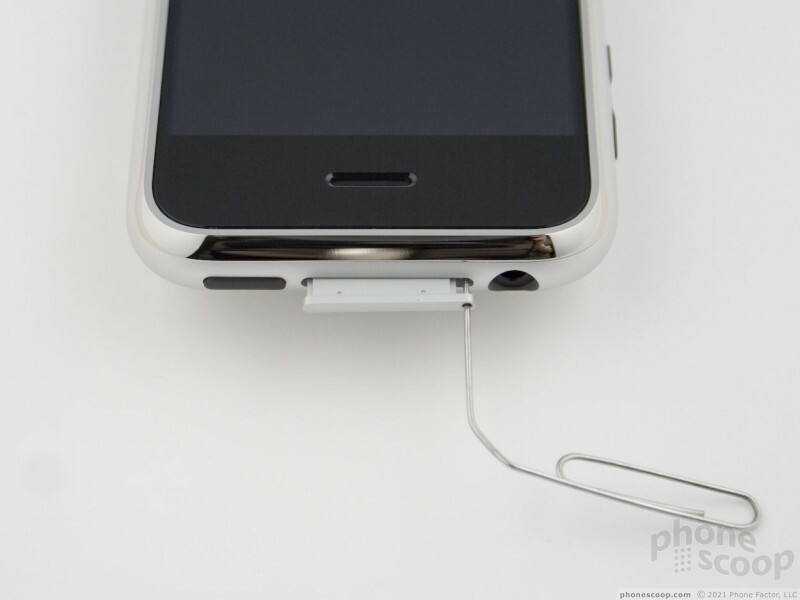 Because the iPhone works like an iPod, it syncs the same way. Music, Video, and Podcasts are moved to iPhone from playlists that you tell iTunes to sync. If you don't select any playlist and your library is smaller than the size of your iPhone, it's no problem. If your library is bigger than your iPhone's capacity, iTunes will ask if you want to create a magical playlist that will sync some tunes and video for you. Contacts, calendar appointments, browser bookmarks and photos are also synced though iTunes from most popular applications on the Mac or PC. 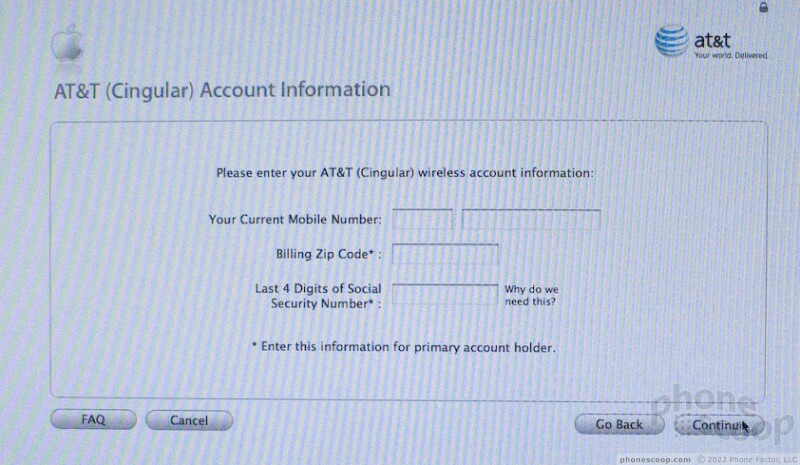 There is no other way to get data on or off your iPhone (save for emailing it, which is an option in nearly every application) nor can you transfer data from one application to another. 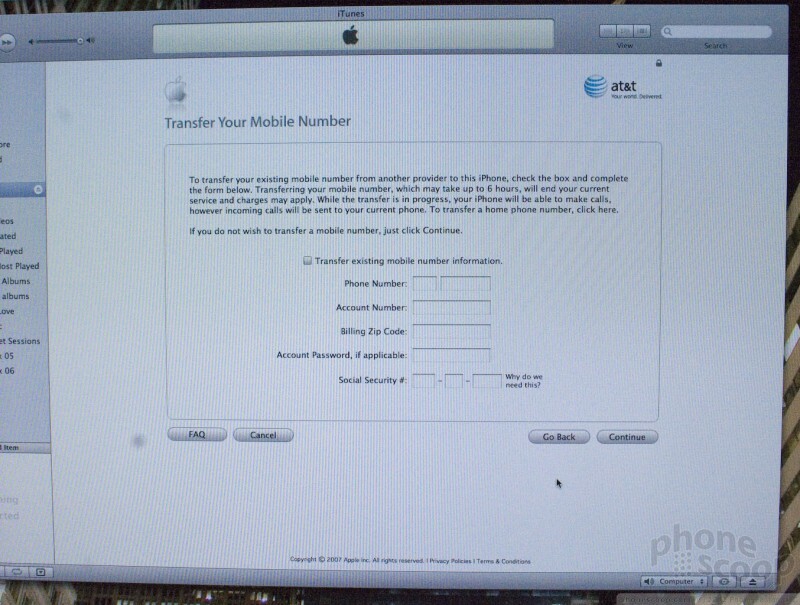 For instance you cannot save a picture you receive by email into your iPhone photo gallery. 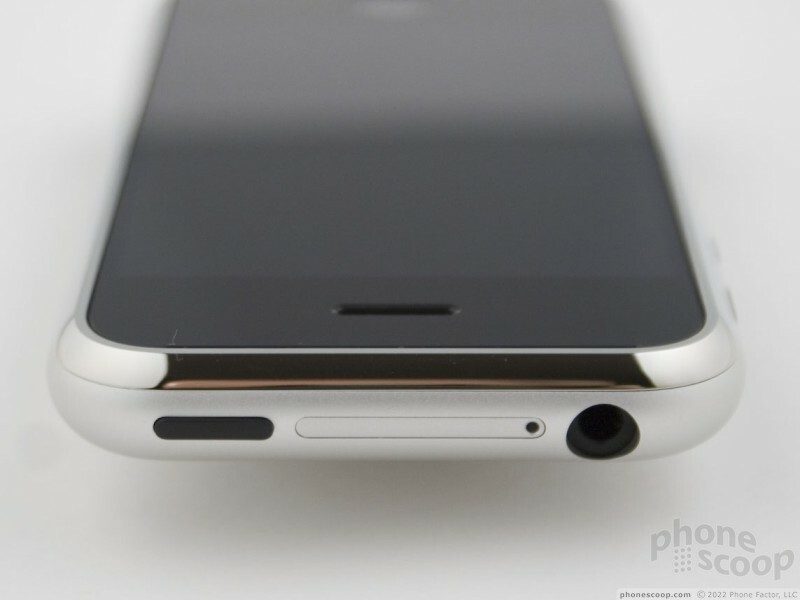 The exception is getting camera photos off your phone. 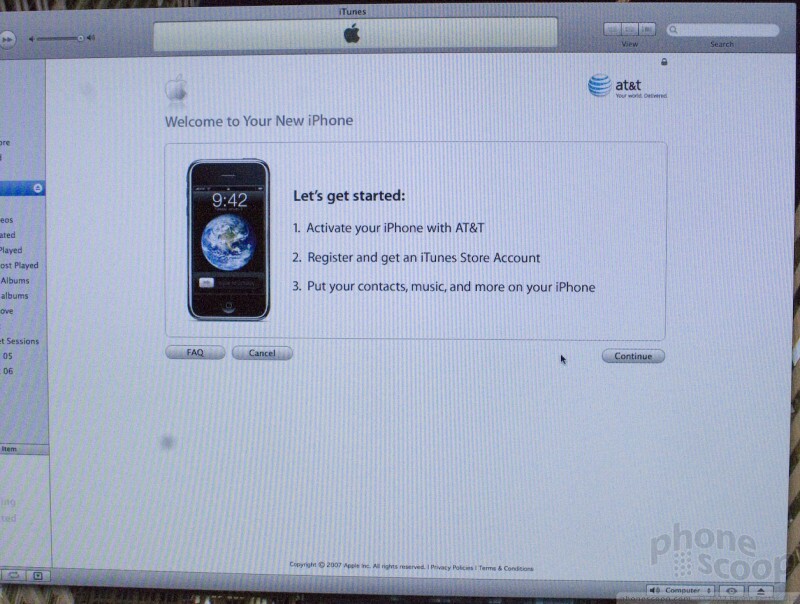 That is done via camera software instead of iTunes. 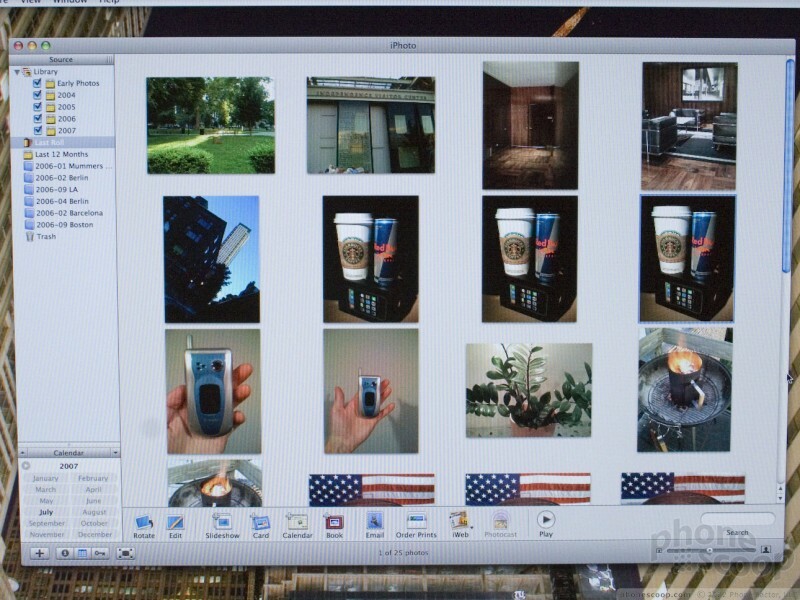 On a Mac, it's iPhoto, and works just as you'd expect. 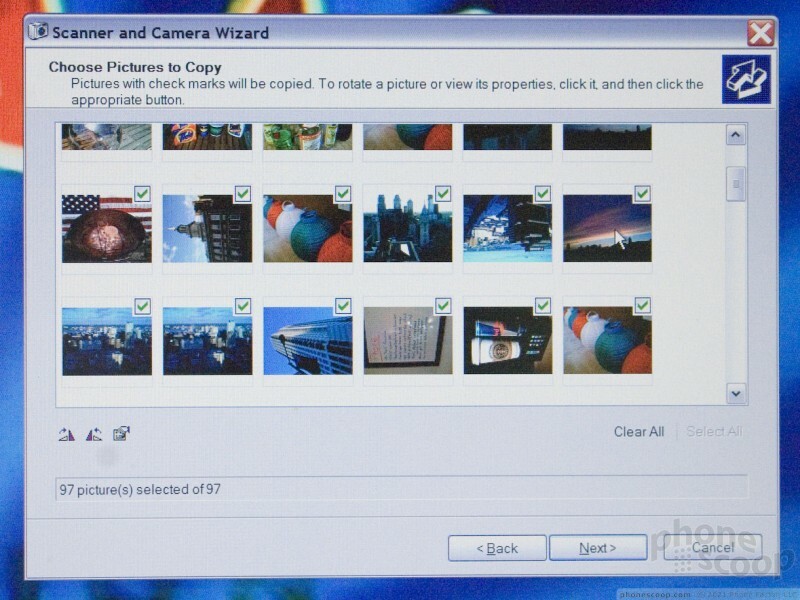 In Windows Vista, we used the standard "Import pictures" option, and it also worked great. 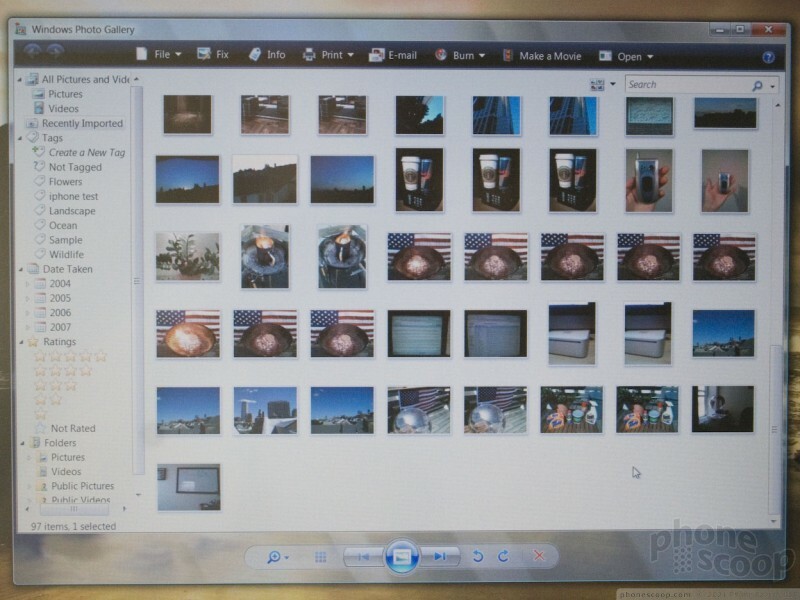 Under Windows XP, however, the "Scanner and Camera Wizard" imported photos completely out of order and didn't import the orientation info, so half of our photos were sideways. 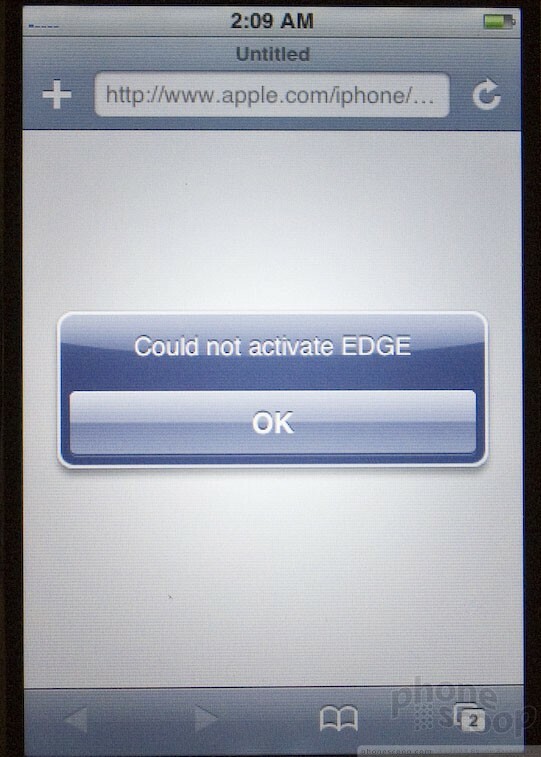 Unlike other iPods, the iPhone does not support standard USB mass storage for storing or backing up other files from your computer on Macs or Windows XP. 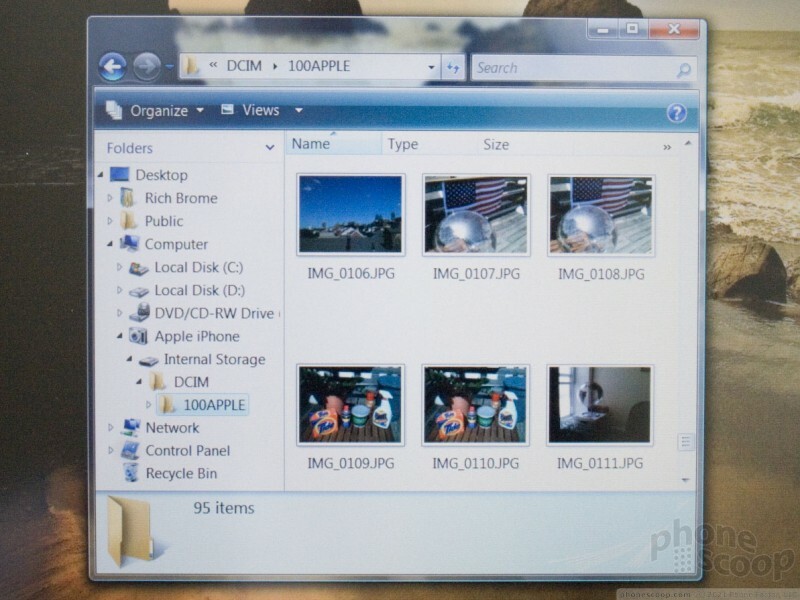 In Windows Vista, you can pull up an "internal storage" drive when the iPhone is connected, although it only shows photos from the camera and nothing else. 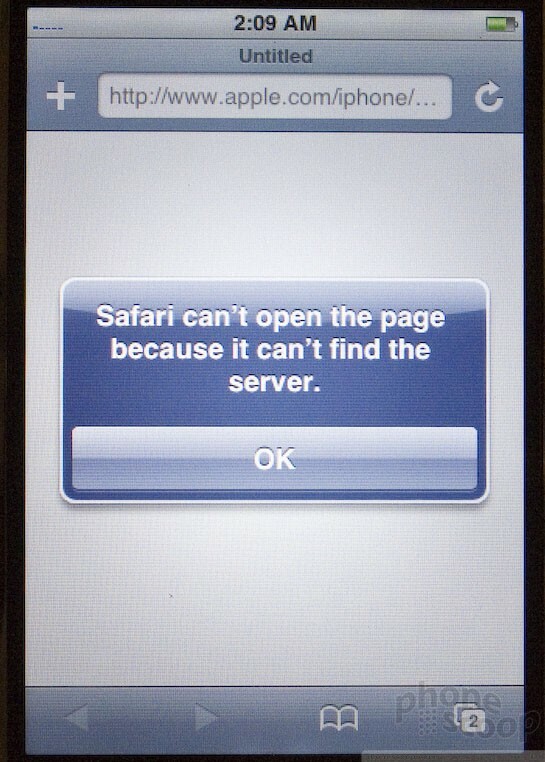 Like every other phone sold at carrier stores in the US, the iPhone is locked to a network. 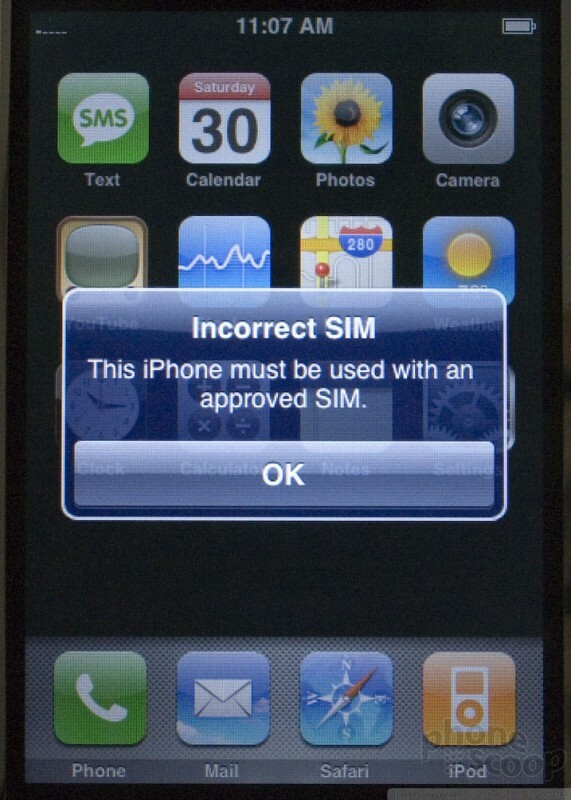 It is SIM locked so that it can only use AT&T SIM cards in it. 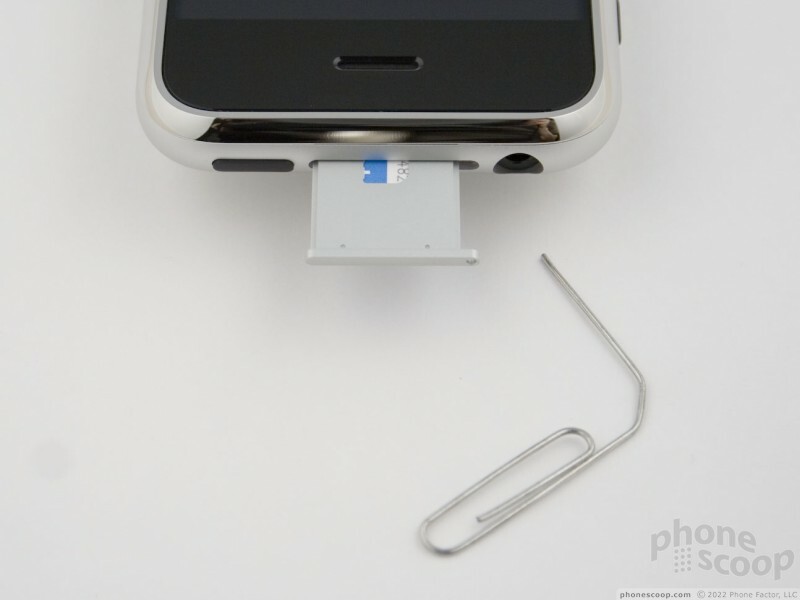 The iPhone comes pre-loaded with a SIM that is activated when you register the phone. 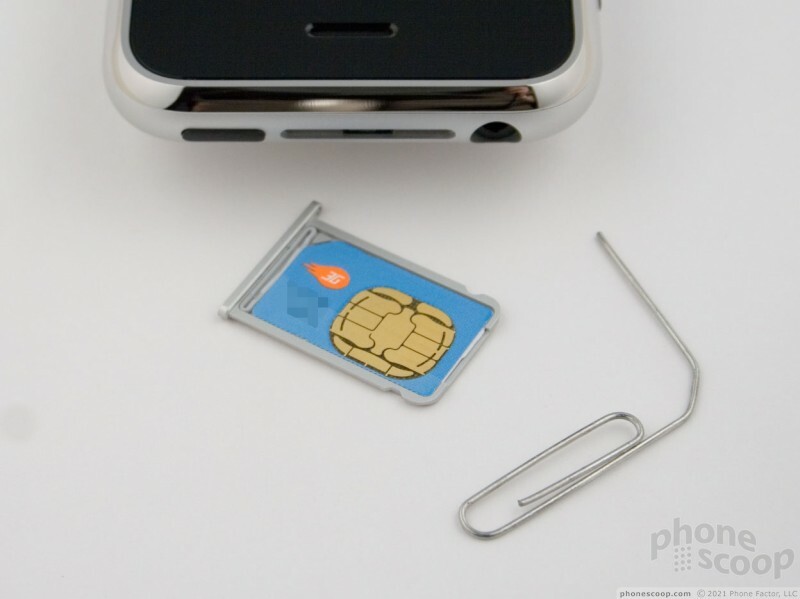 This is a standard SIM card that can be removed and used in other AT&T or unlocked phones, just like normal. 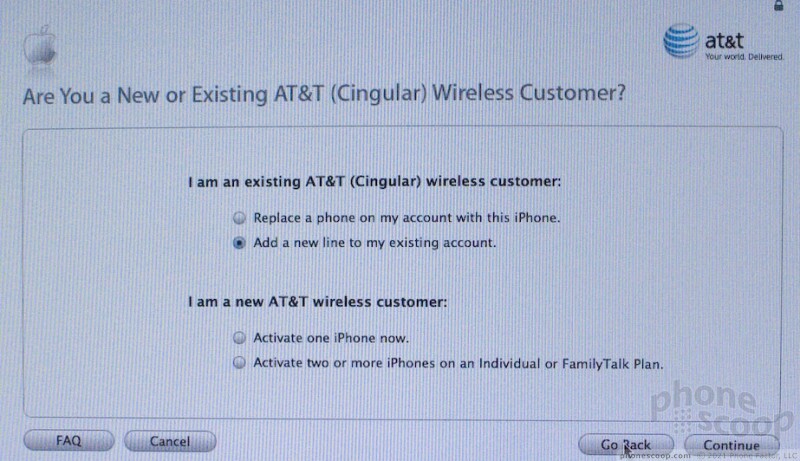 If you insert another AT&T or Cingular SIM that is not activated for an iPhone, you will be prompted to connect to iTunes activate that SIM card. 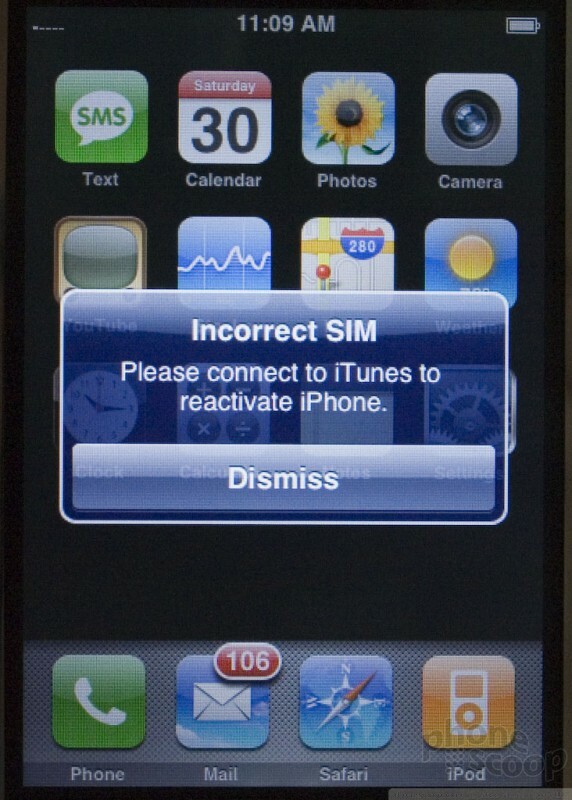 If you insert a SIM card from another carrier into an activated iPhone, you will not be able to make calls or use any cellular data functions, however you will be able to launch applications and use anything that doesn't require a network connection.